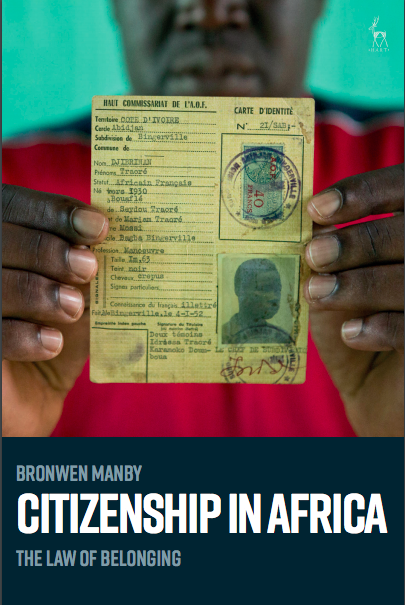 Bronwen Manby takes us through her new book Citizenship in Africa: The Law of Belonging. 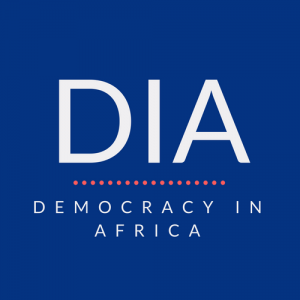 In an important contribution to the literature on statehood, citizenship and identity in Africa, this piece highlights the importance of formal legal frameworks and contests over citizenship in determining who belongs. Who belongs? And how do you decide? These are questions that are central to any community. In the context of the modern state, the rules are established by citizenship laws that set out the conditions for recognition as legally belonging to that state – with rights and responsibilities to match. The content of citizenship laws can be politically controversial in any country. African states, whose borders were, for the most part, arbitrarily created at the stroke of a pen in Berlin in 1885, have particular challenges. The 1964 decision of the newly formed Organisation of African Unity to respect those borders committed the continent to the task of moulding the colonial units into legitimate political communities. A very large literature deals with the challenges to this task posed by questions of identity and belonging, and the “crisis of nationality and sovereignty” that result. First, it tells the history of citizenship law in Africa – from the rules applied during the colonial period and the trends in substantive law and procedural practice from independence to the present day. Secondly, there are case studies of the countries where contests over the right to citizenship have been particularly problematic – from Congo via Cote d’Ivoire, Ethiopia, Kenya, Nigeria, Sierra Leone, Sudan and Uganda, to Zimbabwe. Thirdly, it tries to frame this history within an analysis of the role of law in the African politics of belonging since independence. In summary, my argument is that law matters. The specific provisions in citizenship laws have impacted on the arguments about who belongs, and the political crises and conflicts that have resulted. This has been true even in countries where state structures are quite weak, and where ideas of belonging are primarily shaped by other factors – like commonalities of language, religion, and culture – rather than by legal membership of the modern state. In this argument, I join recent scholarship from Catherine Boone, who argues that ethnic identity should be “understood as a juridical status, or a state-recognised or even state-imposed political identity”; Paul Nugent, Daniel Hammett and Sara Dorman, who emphasise the state’s insistence on the “right to define who is alien and who belongs”; or Morten Bøås and Kevin Dunn, who call for scholars to “reinsert the state into examinations of autochthony”. First, the varied colonial heritage has had a profound effect on the ways in which belonging to the modern state is conceptualised and managed. The differences between the civil law and common law countries, in both substantive provisions and procedural implementation, continue to have a real effect on the ways in which citizenship is conceptualised today. Secondly, African governments and citizens have certainly behaved as though they think citizenship law matters. Many countries have amended or replaced their laws, and the right to citizenship has been central to agreements revolving political crises, including constitutional review processes and peace agreements. Activists have also campaigned for changes from below, with impact especially in the trend to gender equality and to acceptance of dual citizenship. Thirdly, African politicians have found that instrumentalising citizenship laws have been a very useful way of preserving their hold on power. This aspect has perhaps been the most studied – because these are the cases that have reached the courts. Most famously the case of Kenneth Kaunda of Zambia, who was told, despite spending 27 years as president, that he could not run again for office because in fact all this time he had actually been Malawian. There are many other examples. Fourthly, the original frameworks of citizenship law have had unintended consequences. This can be seen perhaps most powerfully in the case of Côte d’Ivoire, which had very a similar basic initial legal framework to the other territories of the former Afrique occidentale francaise, except that it was the only state not to include the provision that the second generation born in the country were automatically granted nationality. It is not a coincidence, I argue, that Côte d’Ivoire is the country afflicted by a civil war in which the key point of contention was who was Ivorian. Fifthly, post-independence reforms to citizenship laws have had real impact for individuals and for states: both the reforms to bring greater gender equality and tolerance of dual citizenship, and reforms to modify (usually, though not only, to reduce) access to citizenship based on birth in the territory. Sixthly, recognition of nationality has been important even in contexts where most people have no documents; though of course formal legal citizenship is less important the more remote you are from structures of the modern state. However, as James C. Scott has argued in the context of South East Asia, a strategy of state-avoidance is becoming ever less possible to sustain – and the content of citizenship laws thus ever more important. I end the book with a reference to Benedict Anderson’s famous “imagined communities”. At root, my book argues that law is itself a contribution to the process of imagining a national community, even in places where the boundaries of that community are deeply contested. Bronwen Manby is a guest teacher for the MSc in Human Rights at LSE, and an independent consultant in the field of human rights, democracy and good governance, with a focus on sub-Saharan Africa. She is a leading authority on nationality law and statelessness in Africa. Follow her on twitter @BronwenManby. Citizenship and nationality are used interchangeably in the book, according to the term used in the national context — and this decision is discussed and explained.